A mural celebrating the unique Industrial heritage of Dartford in Kent. 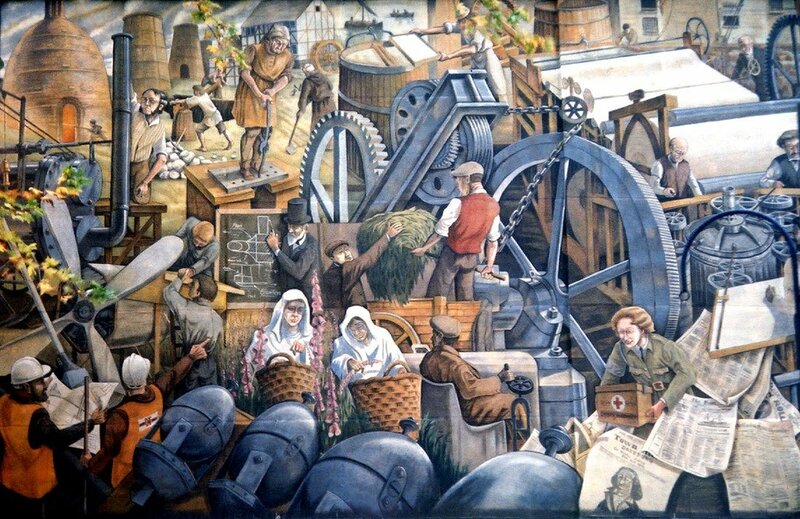 Painted in 2000 this large gable end mural celebrates the huge impact of Dartford’s Industrial Heritage. The mural is located at One Bell Corner in the Kentish town’s pedestrianised High Street and is titled ‘One Town That Changed The World’.